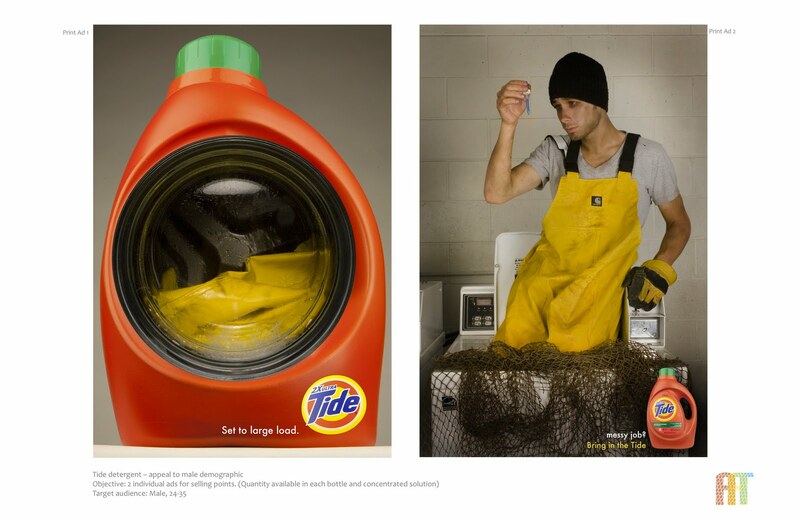 Ashwitha Thomas - Portfolio: Tide Liquid Detergent, 2X concentrated, 64 loads. Laundry Detergent isn’t on the top of a man’s shopping list! These ads were created to appeal to a male audience. The 1st ad illustrates the number of washes per bottle (64 loads) and the 2nd shows the strength of the detergent (2X concentrated).